Yinghuang KTVYinghuang KTV, with its quality service and gorgeous decoration, has become a superb choice for people to spend some leisure time. 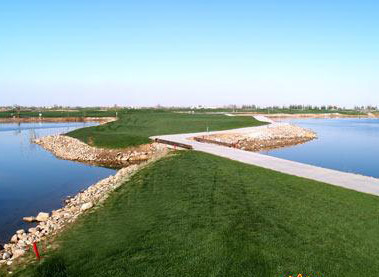 Yinchuan Huanghe Golf ClubThis 18-hole par-72 course covers an area about 733,000 sqm. Ningxia Grand TheaterNingxia Grand Theater covers a building area of 49,000 square meters and accommodates 1568 people. ShapotouSituated in Zhongwei City, Shapotou is regarded as one of the five most beautiful deserts in China. Royale Holiday SpaRoyale Holiday Spa is famous for its elegant European-style decoration, skilled staff and excellent service.